The outer bands of Hurricane Florence are lashing parts of the US East Coast. Officials warn of life-threatening storm surges in both North and South Carolina as the hurricane moves towards land with maximum sustained wind speeds of 90mph (150 km/h). More than 100,000 homes are already without power as weather conditions begin to worsen. Officials have warned the storm has the potential to kill “a lot of people” amid risks of “catastrophic” flooding. 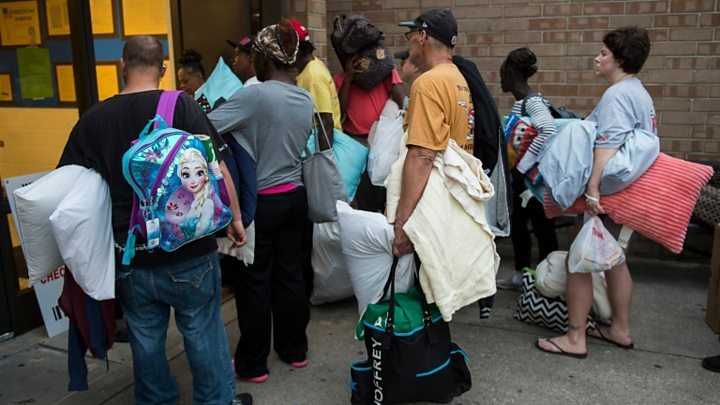 Thousands had taken shelter in emergency facilities by Thursday night. Conditions deteriorated throughout Thursday as wind speeds gradually strengthened in coastal areas. 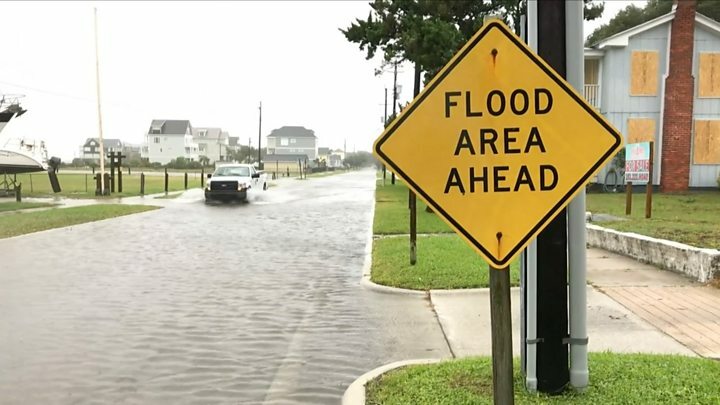 Some areas of North Carolina saw almost a foot of rain just a few hours, and footage showed sea levels begin to surge in land. “Inland flooding kills a lot of people unfortunately and that’s what we’re about to see,” Fema administrator Brock Long told a news conference on Thursday morning. Parts of the Carolina coast are expecting 20-30 (50-75cm) inches of rain, with isolated regions seeing up to 40in of downpour. Petrol stations in the area are reporting shortages and energy companies predict that one to three million homes and businesses may lose power. 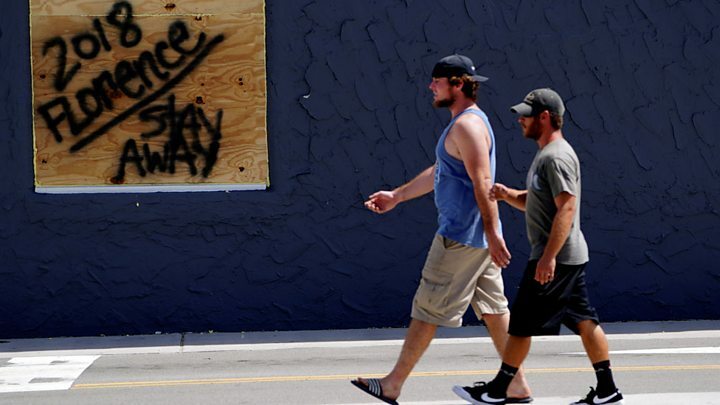 Officials have warned restorations to electricity could take days or even weeks. "Everybody has a plan until they get punched in the face. Well, we’re about to get punched in the face." "Urgent warning about the rapid rise of water on the SW FL coast with the passage of #Irma’s eye. MOVE AWAY FROM THE WATER!"